To think that humans know everything there is to know about science and the natural evolution of our planet is nothing short of asinine. Technology has been developed to allow us to understand our position in the cosmos better, but should we call ourselves experts? There is still so much to learn about how our planet behaves. Although global warming extremists push the envelope on reasons why we should invest in renewable energies, there is a truth behind all of the rhetoric. Our current methods are grossly antiquated. 1. 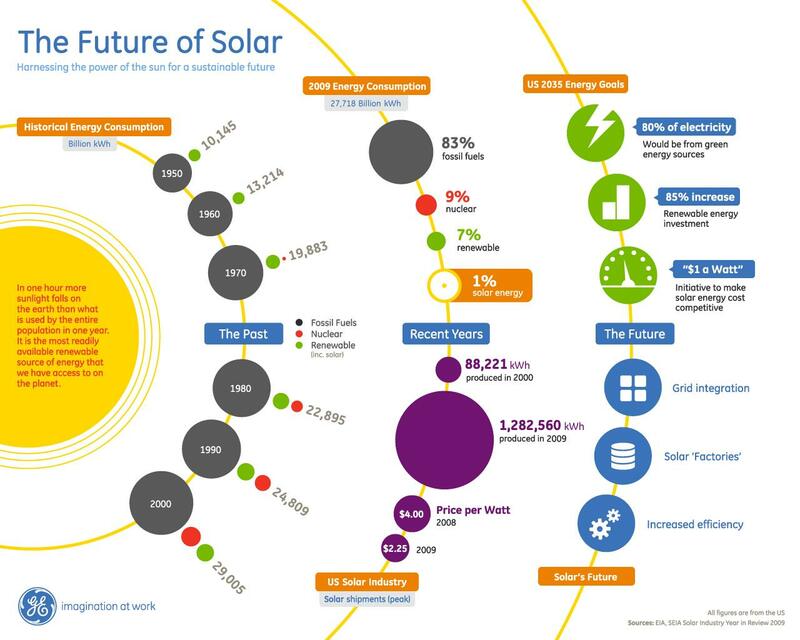 Renewable Resource – The Sun will continue to produce consumable power to humans for billions of years. As soon as it’s done producing power, we’re going to have more pressing problems than global warming. Even cloudy days are able to produce enough power to maintain a home. It is a resource that everyone can agree that we have in an abundant supply. 2. Oil Wars – Regardless of personal views on the economics of the world, were are riled by those who would dare cut off our oil supply. We are willing to sacrifice lives over dead plants and life-forms. If we were to do away with oil as a whole, would there still be a cause for war? It would no longer be a driving force to have relations with a country we know to be corrupt. The demand would be gone, as would the power these countries have over a large portion of the world. 3. Costs – Even with subsidies and tax credits, one would still have to live in their homes for more than 10 years in order to experience the benefits from solar power thanks to the effects of financing. However, the cost of photovoltaic equipment manufacturing has already began to decrease since 2012. As many locations around the globe are looking more and more at this renewable energy source, more innovative technologies supporting photovoltaic equipment is being produced in order to reduce costs of installation in order to entice sales. Before long, everyone will have one – much like cell phones morphing into smartphones. 4. Less Dangerous – Nuclear power plants are catastrophes waiting to happen. A simple breakdown of a nuclear power plant can render the entire location unlivable by human standards. Chernobyl and the Fukushima Daiichi disasters are prime examples of how little we truly care about human life over the need to power our computers and cash registers. If a solar panel breaks, it could take a matter of a day or two to replace it without having to call in a HAZMAT crew. 5. Cumulative – For every household and business that erects a solar array to put power back into the grid, more power is conserved reducing the chances of brownouts. For every kilowatt hour produced by these units, one kilowatt hour can be used at your neighbor’s house. Theoretically, many solar arrays within an area should decrease the electric bills of everyone since less power is being consumed as a whole. Set aside the views of those who propagate global warming as a scare tactic. There are real life reasons why we should be investing in alternative energy sources, none of which concern the natural evolution of Earth. The planet will be here long after humans have perished. We should be more concerned with saving ourselves. Clean energy, the most appropriate reason. No emmisions.